Our Backup Camera is a low-cost, easy-to-install camera system that lets you see real-time video footage from the back of your wheelchair, so you can navigate more safely. 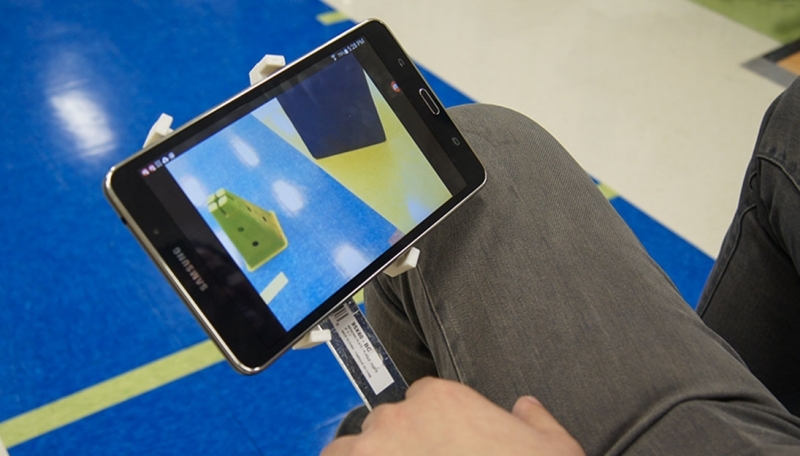 The camera can be mounted on any powered wheelchair and the video from the camera can be viewed via WiFi on any smart phone or tablet that you may already have. Our camera easily captures a video from the back of your wheelchair. You can adjust it to fit your needs. Our mini-computer is connected to the webcam and streams the feed to your preferred mobile device wirelessly over WiFi. 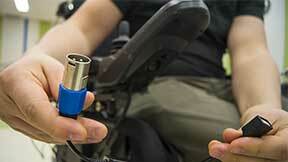 With the charging cable you can easily power the system from the wheelchair batteries. No tools necessary! In the US alone there are more than 1 million power wheelchair users. About 40% of wheelchair users have difficulty performing daily maneuvering tasks including backing up. 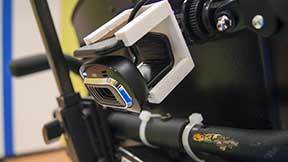 Our low-cost camera system can help any power wheelchair user effortlessly navigate backwards. Use the provided mounts to install the camera onto the back of the wheelchair so the camera’s field of view is not obstructed. Connect the camera to any USB port on the mini-computer. 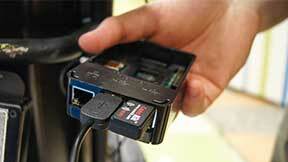 Plug the power cable in the charging port of your wheelchair located on the back side of the joystick. Use the provided power cable to power the mini-computer from the wheelchair’s charging port. The LED light should turn on and a new WiFi network will appear within 1 minute. Download the app from the Play Store to your Android mobile device. Connect to the Wi-Fi network and open the app. You should see the camera’s live stream on your device.